Summer is here. I need a playlist for pool parties, for road trips, for hanging out, for grilling, for river drifting with a beer in my hand, for beach bonfires. That's a lot of playlists for one person to sit around doing so I hit up the rest of our writers here at EDM Sauce for their best edm summer 2015 playlists and I think you're really going to dig em. Have one of your own that is way more epic? Send us your summer 2015 top 10 tracks, and if I think it's as good as ours, I will send you a sweet tank top from the epicly talented Chris over at Live in Color. Going pretty far back, when I met Stevo and founded this site, the song I was absolutely loving was “Big Jet Plane” – every remix of it was just beautiful. This is a tropical playlist for all my coconut and ocean lovers, and it ends with that track. All chilled out tracks with just enough oomph too them to keep your get together going. Perfect for hanging out on the deck, smoking and drinking with a few friends as the summer sun sets. Mixing up some Diplo, some Nero, Some Dr.Dre, this is a playlist for bass lovers who like to keep in interesting. Kick off your day with some of the Magician, followed by Kaskade and Skrillex in this eclectic mix from our resident musical mad man, Loon. If you dig James Brown and Deadmau5, this playlist is for you. Some serious groove on this EDM summer playlist. Still want more? Check out Kassi and Meagan's epic 50 track festival playlist! 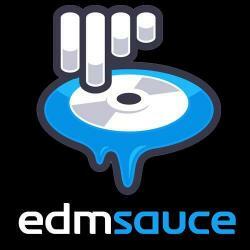 I helped Stevo co-found edmsauce and I review all artist submissions and our twitter. Both my parents are musicians and are consistently humiliated by the fact that I play piano and guitar with one hand. Originally from North Carolina. Likes: Books. Music. Spiced tea. Japan (I lived there). Austria (I lived there too). Languages. Technology. Engineering. Poetry. Music. Haikyo. Maple leaves. Windy days. Anthropomorphism. Old Sweaters. Campfires. Dislikes: Sitting in chairs. Hoarding. You can check out my favorite tracks and playlists on my Soundcloud.